Three pre-Christmas cruises have been called off by P&O due to extended refit work on one of its vessels, causing disappointment for many customers. Oriana, which is undergoing a refit at Hamburg in Germany, is set to be converted into an adults-only vessel, with the children's area being removed and an additional 27 cabins being built. The short cancelled trips were scheduled for December 9, 12 and 17, and were all headed to French locations. Customers who faced cancellation of trips have been offered alternative cruises on other ships or a refund. This situation highlights the need for travel insurance cover, which will be helpful in the midst of unforeseen circumstances such as cancellations. The firm has admitted that the conversion of the Oriana will take longer than expected, with work extending from 23 to 33 days. 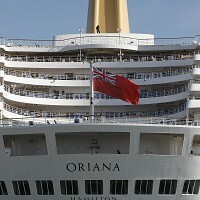 A refit planned for another boat, the Arcadia, has been postponed to offer two new cruises to the Oriana passengers.